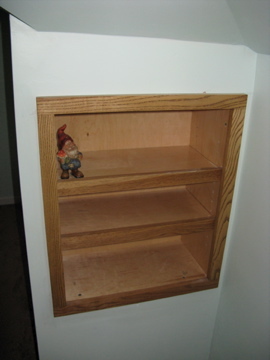 This is another view along the front of the shelves. 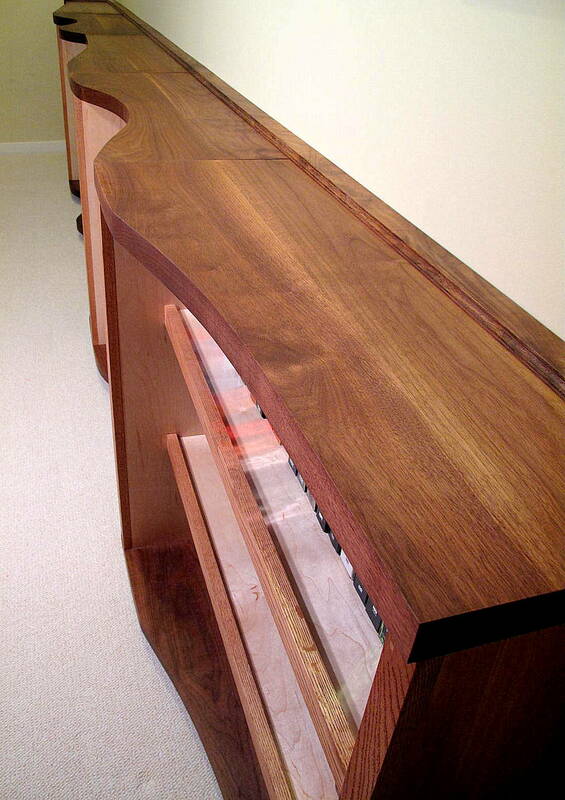 And a view along the top, giving a look at the full ‘wave’ pattern. 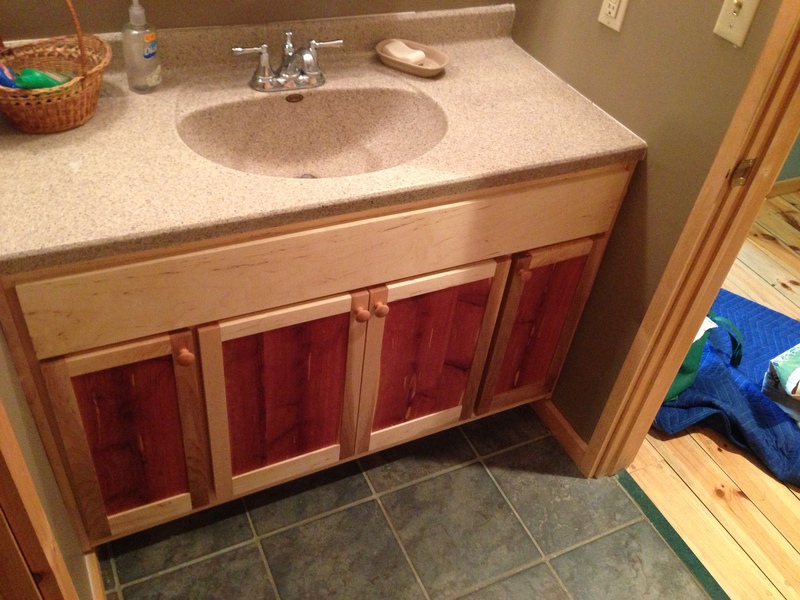 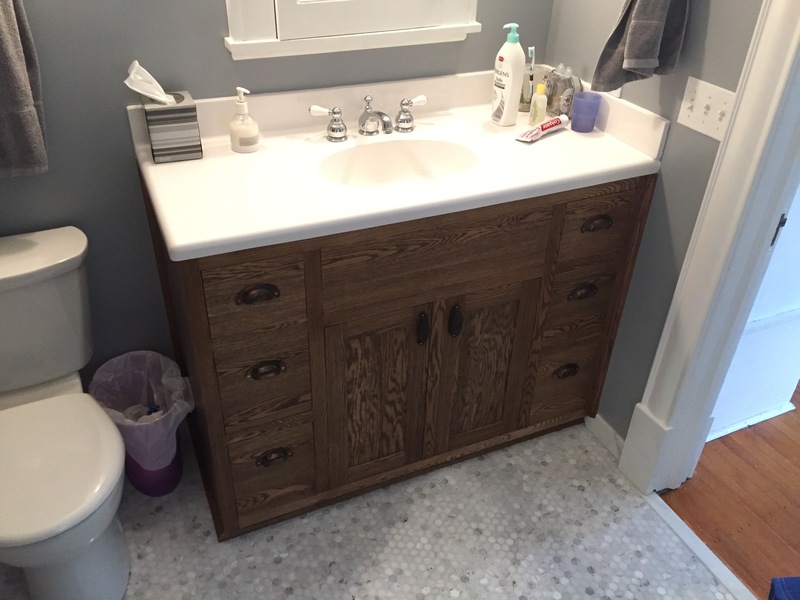 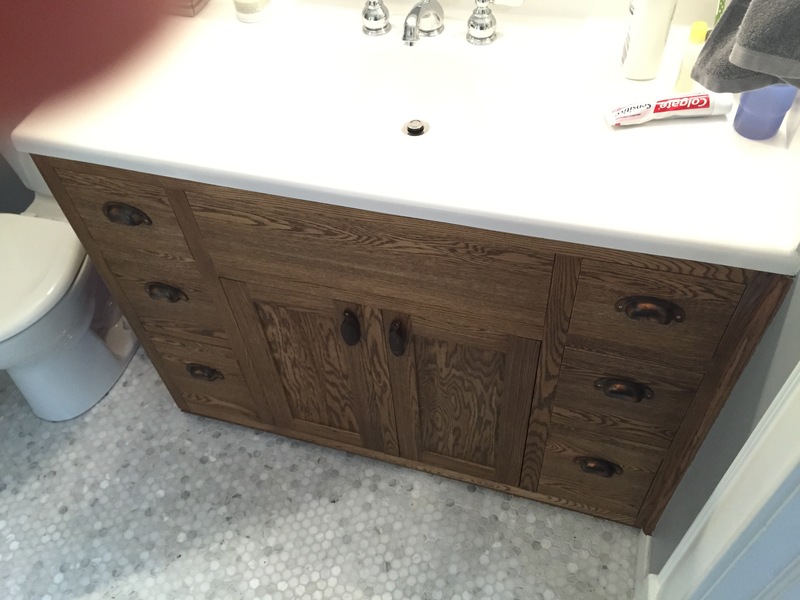 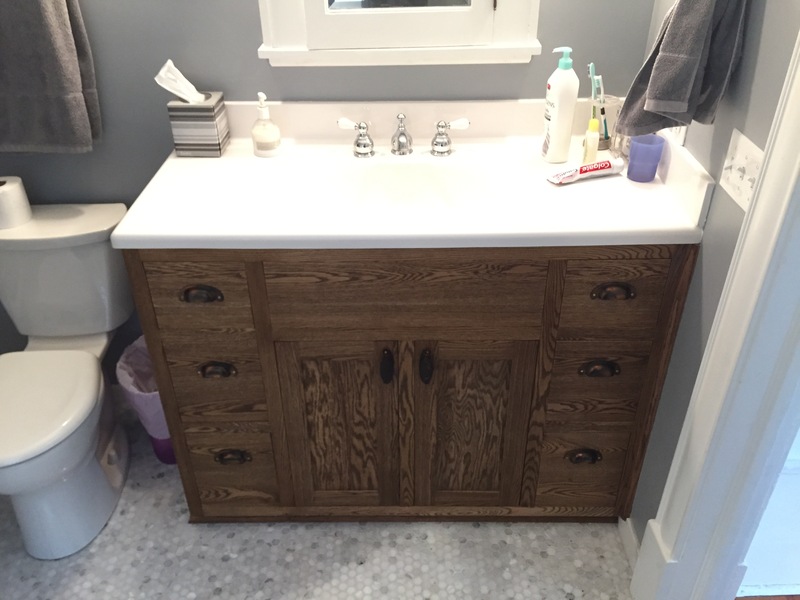 Red oak vanity with walnut stain & antique cast-iron hardware- Eric, Jan 2015. 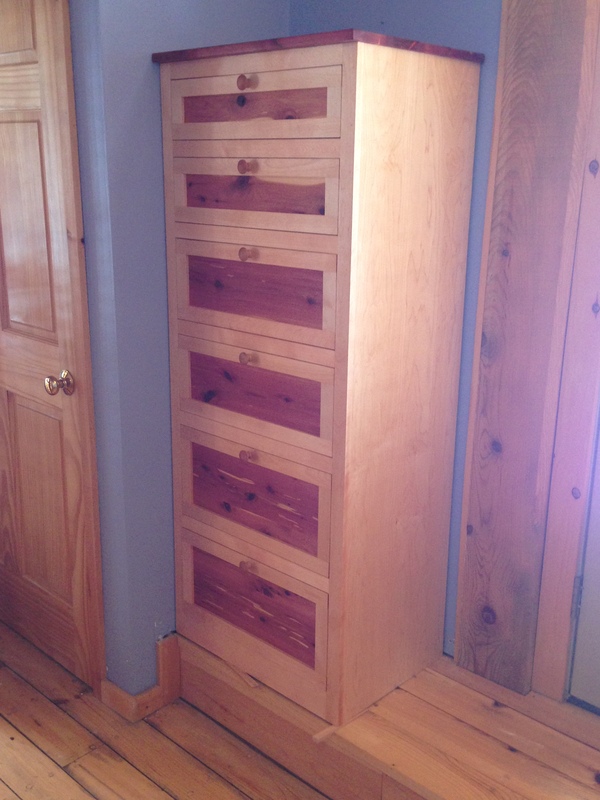 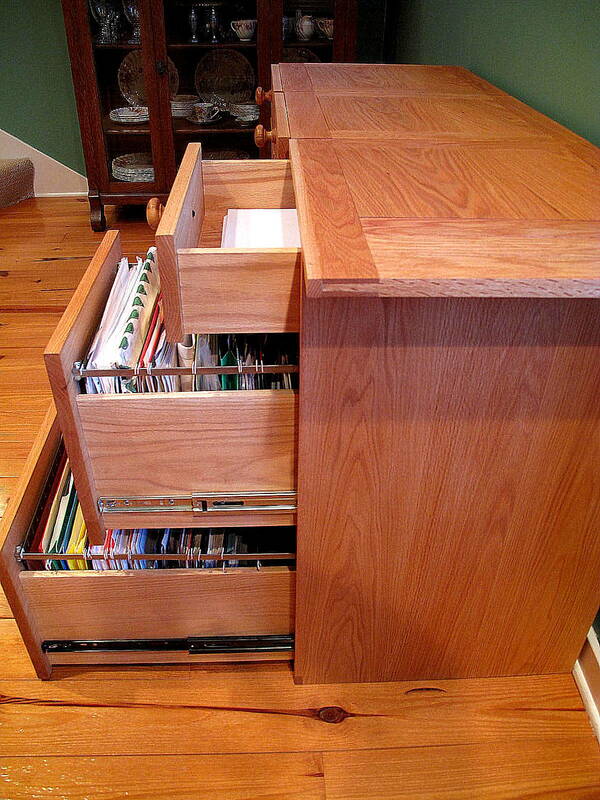 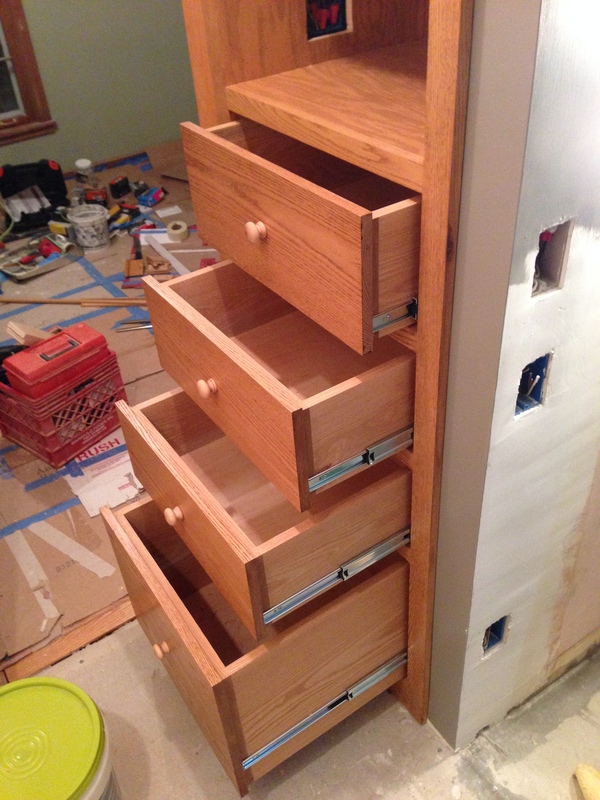 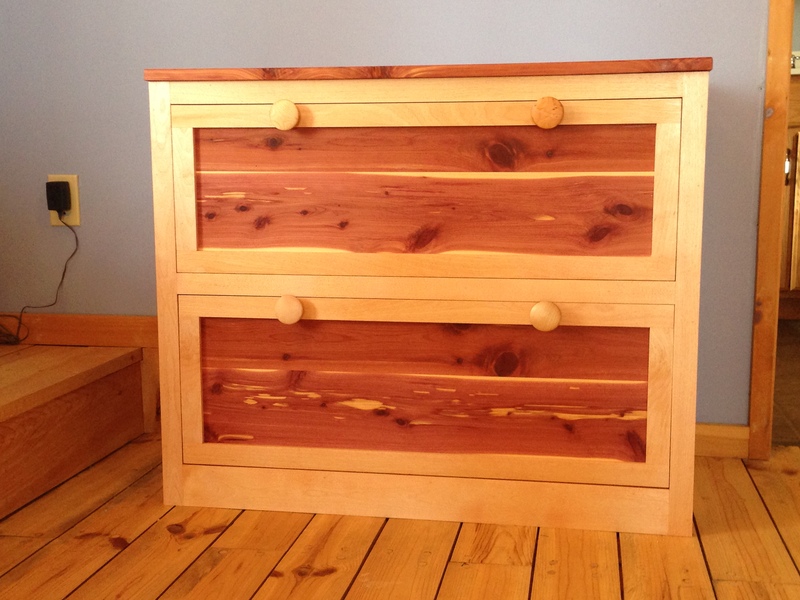 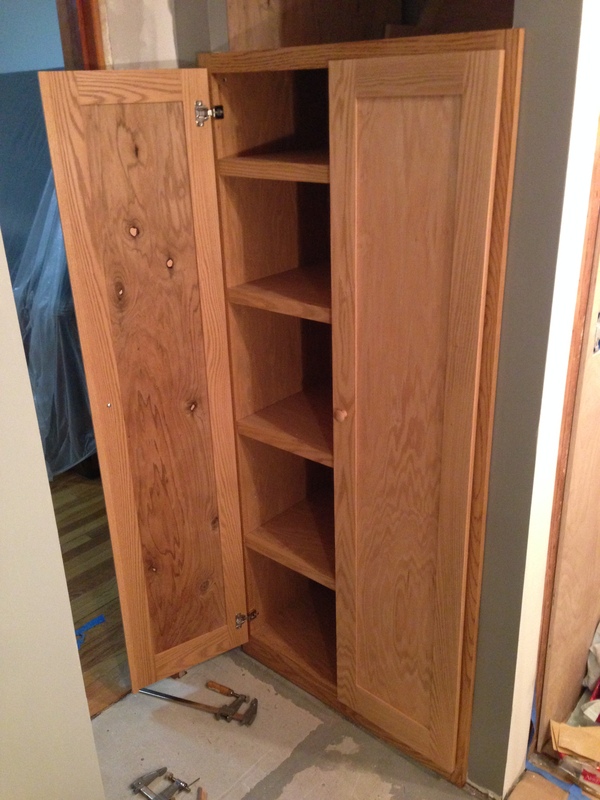 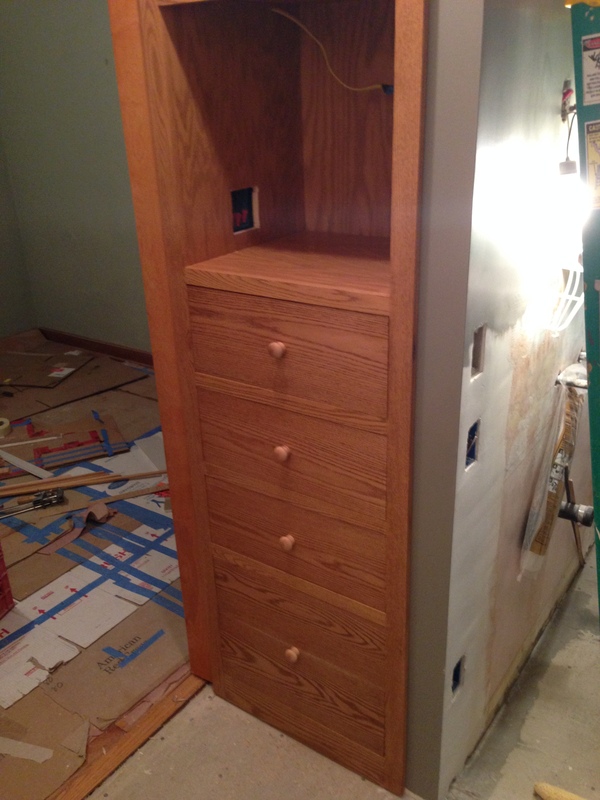 A view from the side, showing the drawers and the joinery on the top. 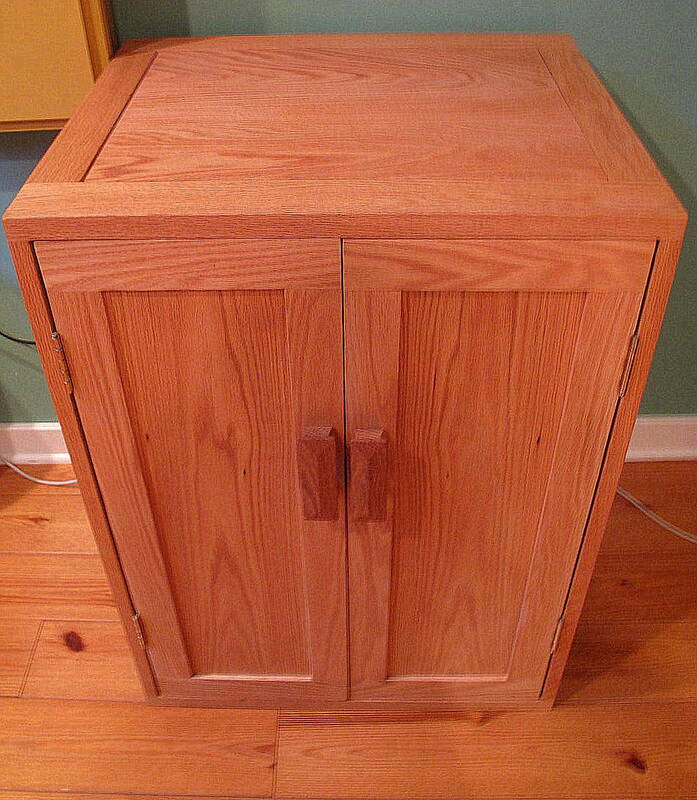 The fourth cabinet from the set, with inset frame & panel doors instead of drawers. 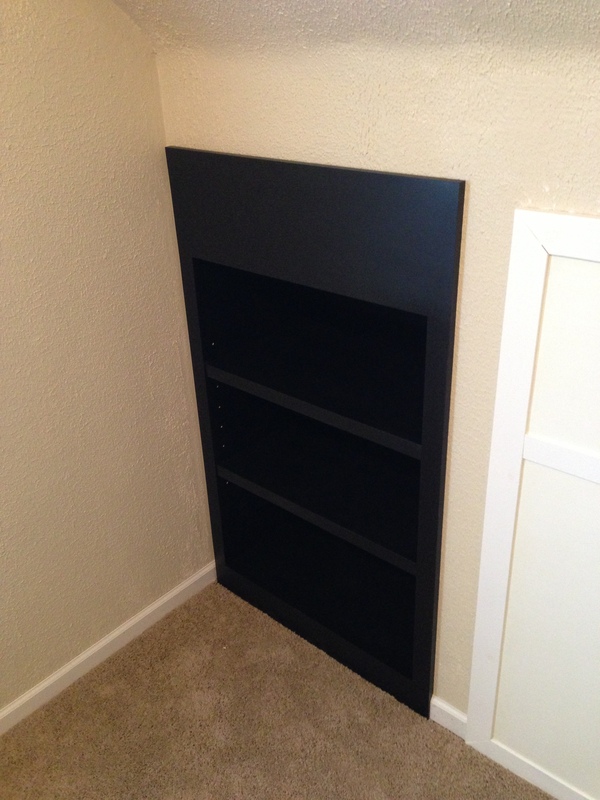 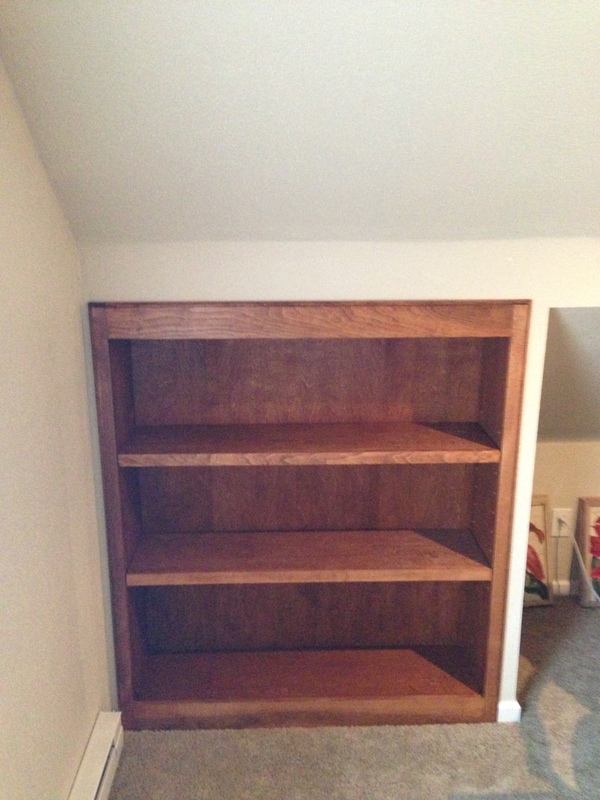 Another of the built-ins. 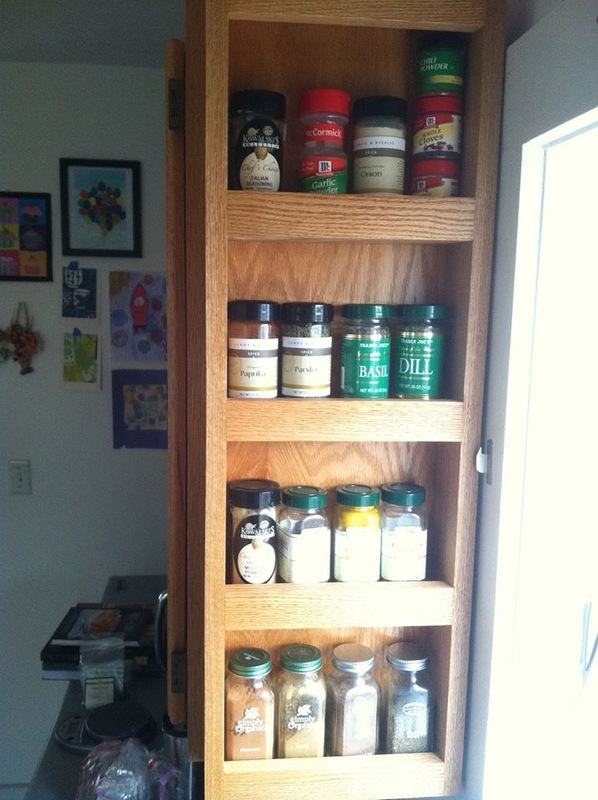 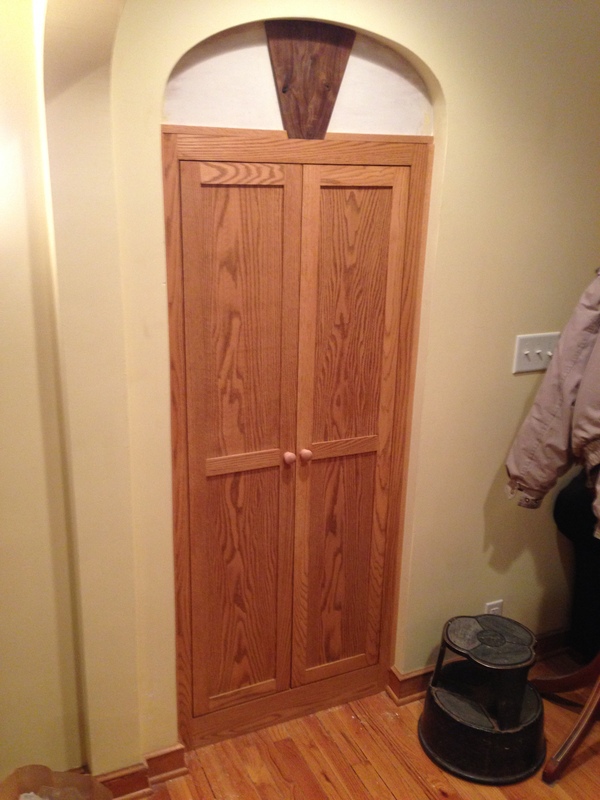 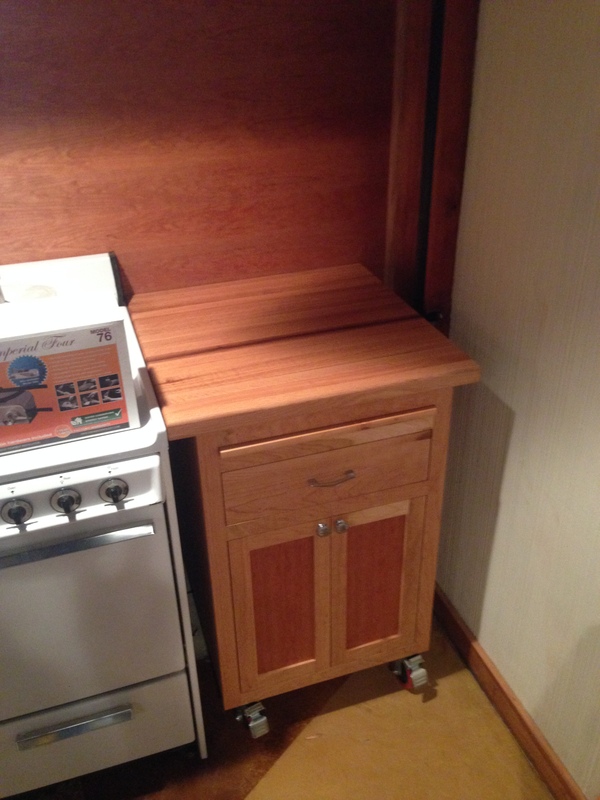 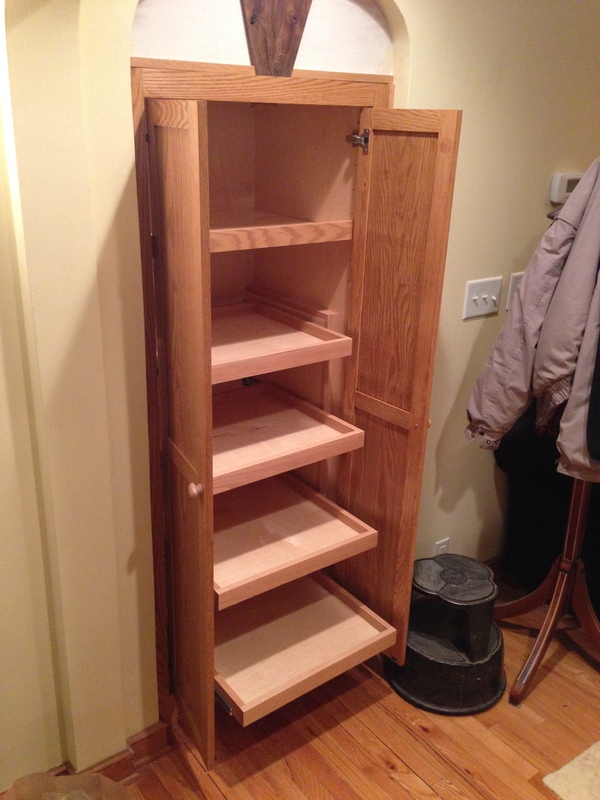 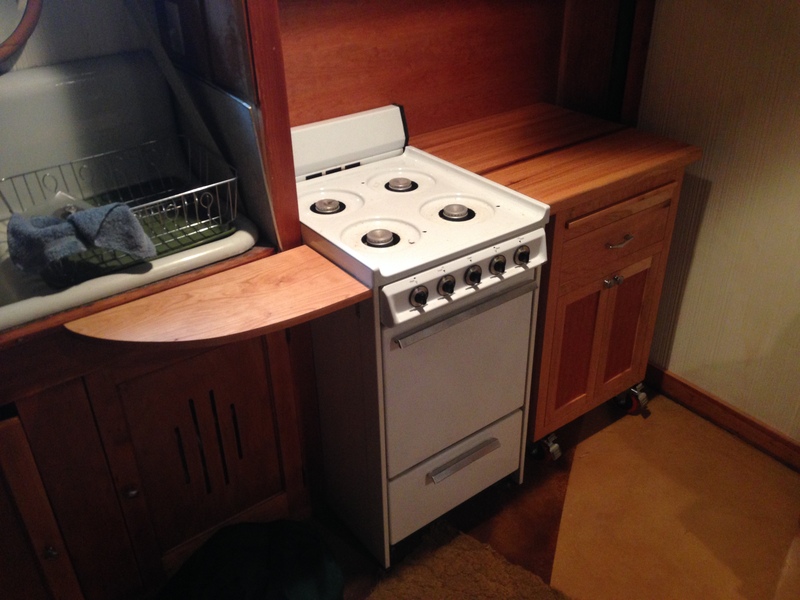 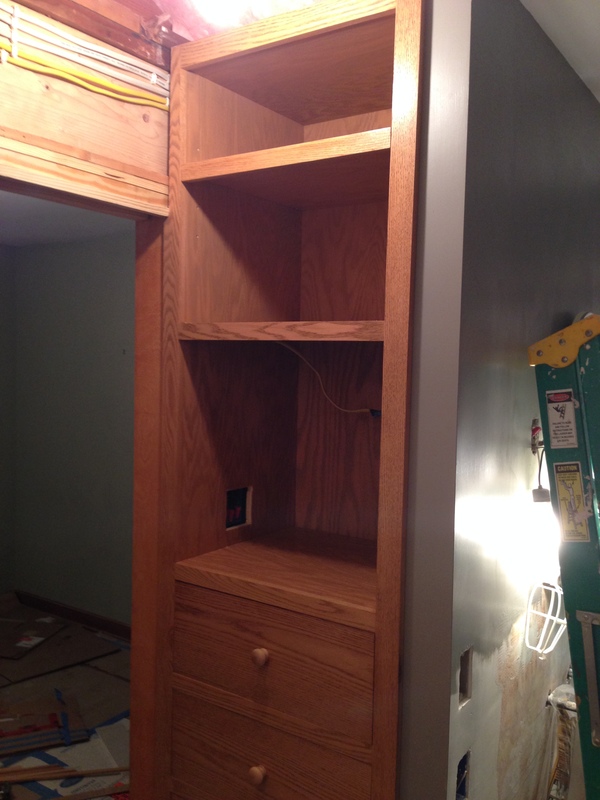 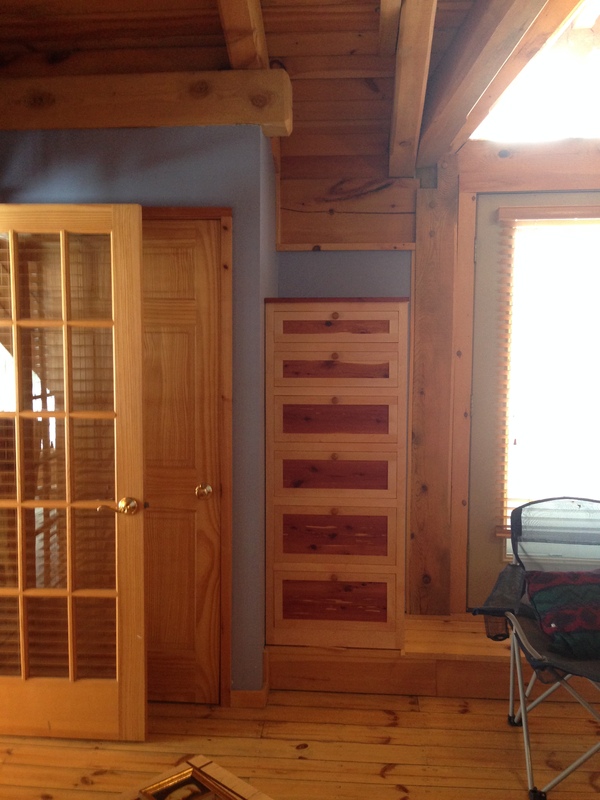 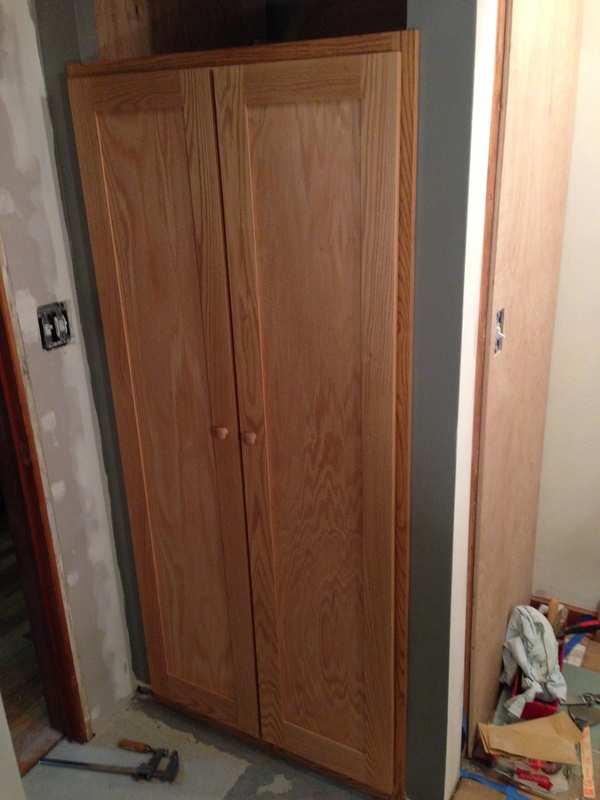 Notice the knob in upper corner; the back of the cabinet is a door that opens into the attic crawlspace. 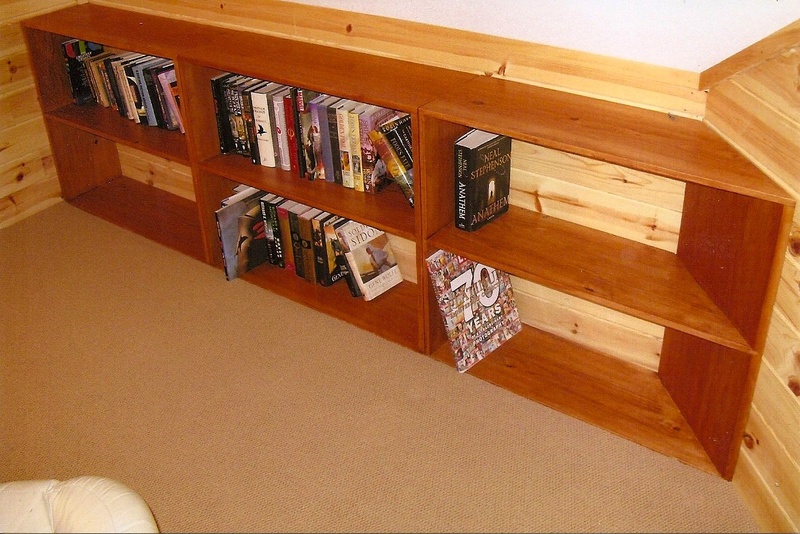 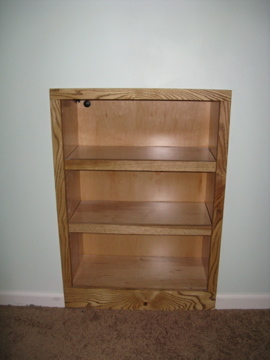 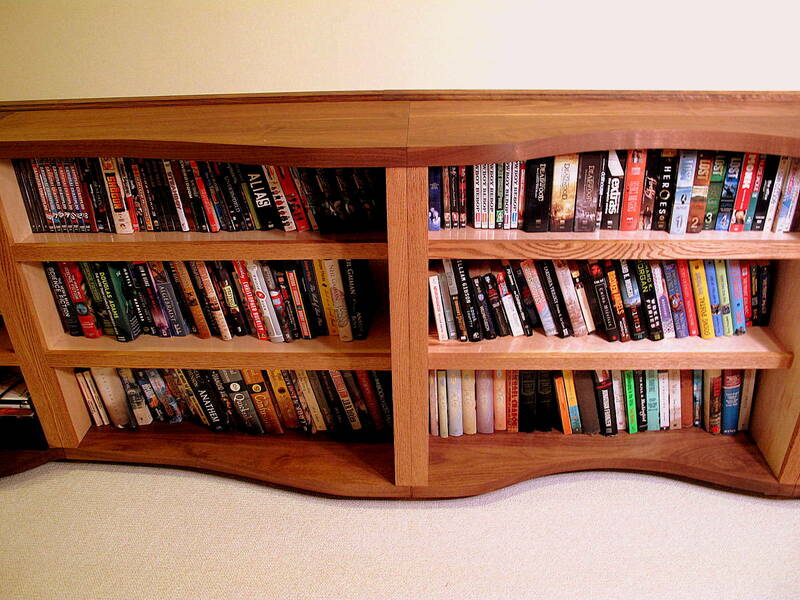 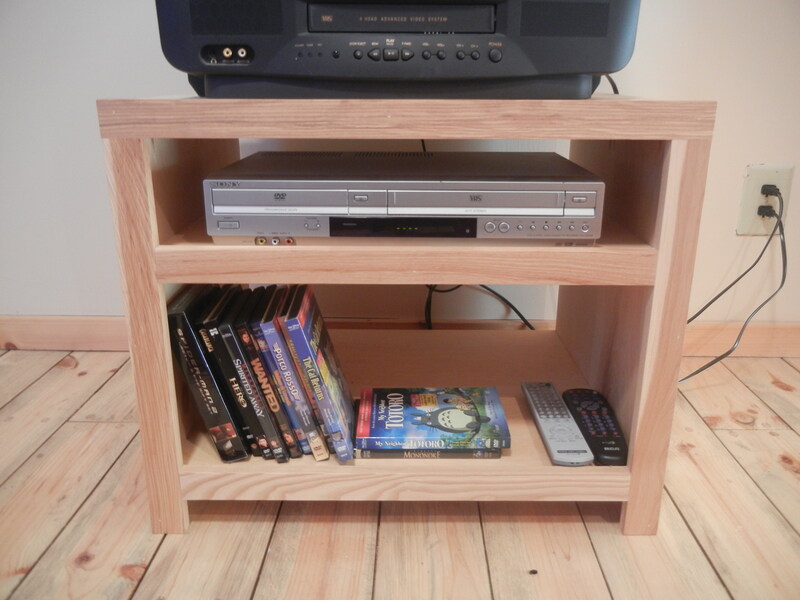 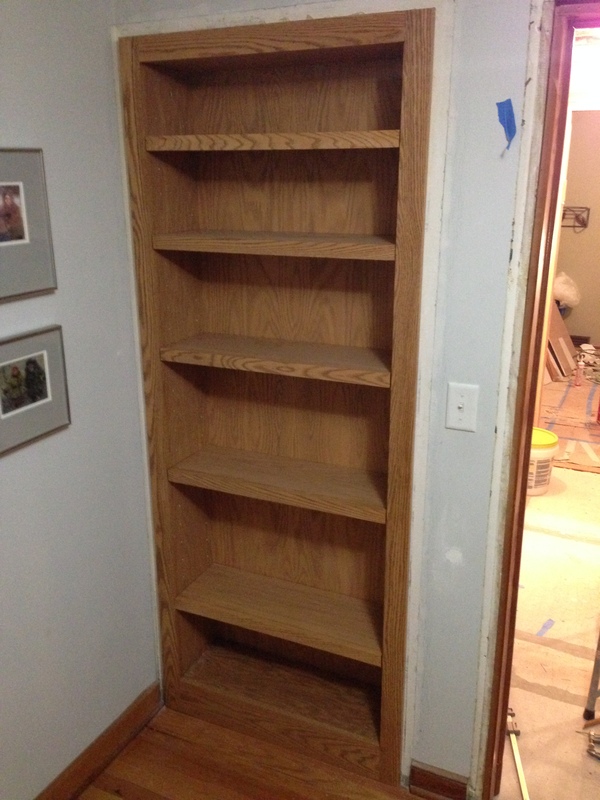 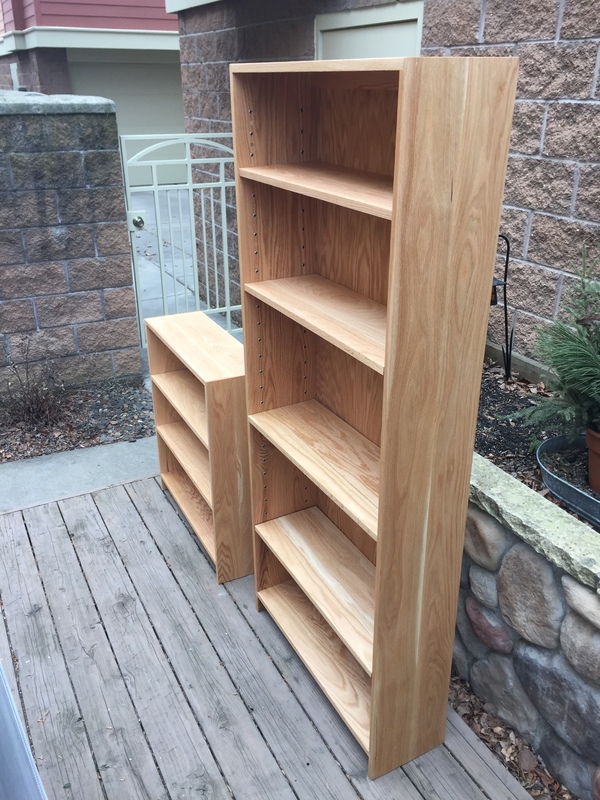 Red oak entertainment center / bookshelf combo. 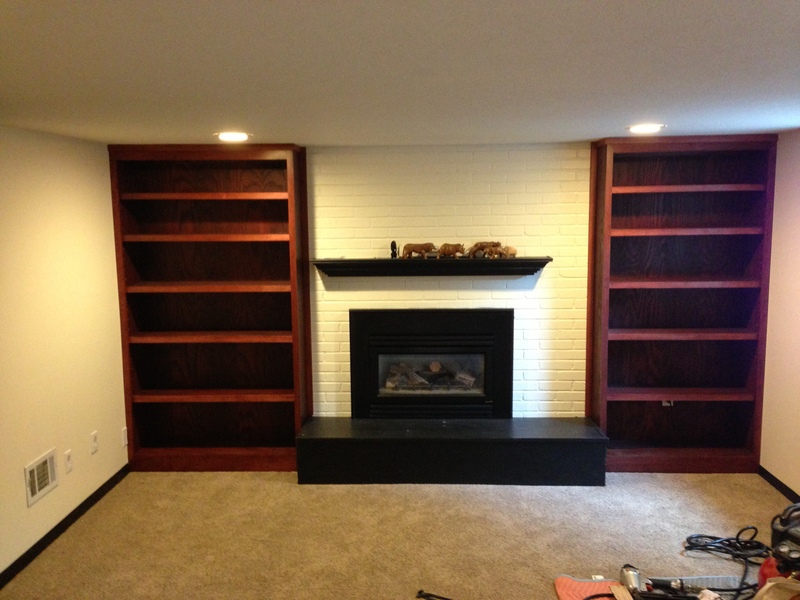 Dark “Mission Cherry” stain. 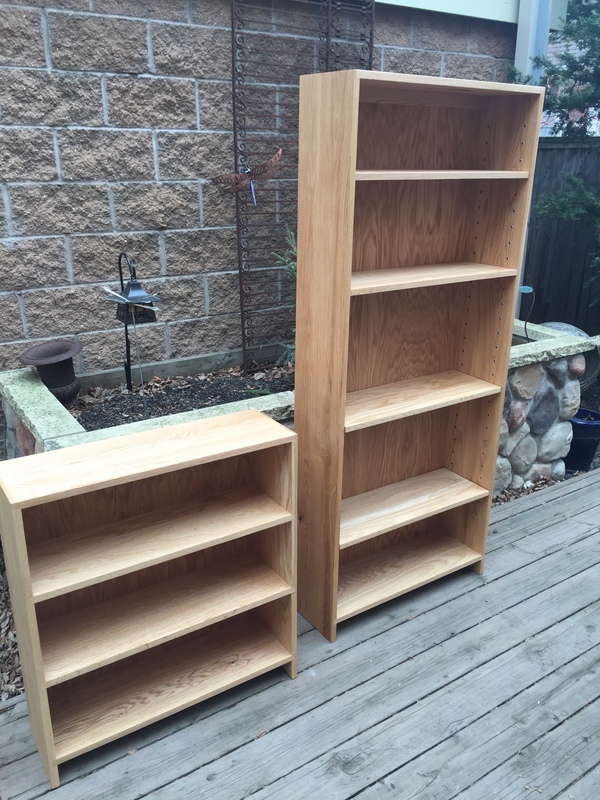 September 2012 – Eric and Andie. 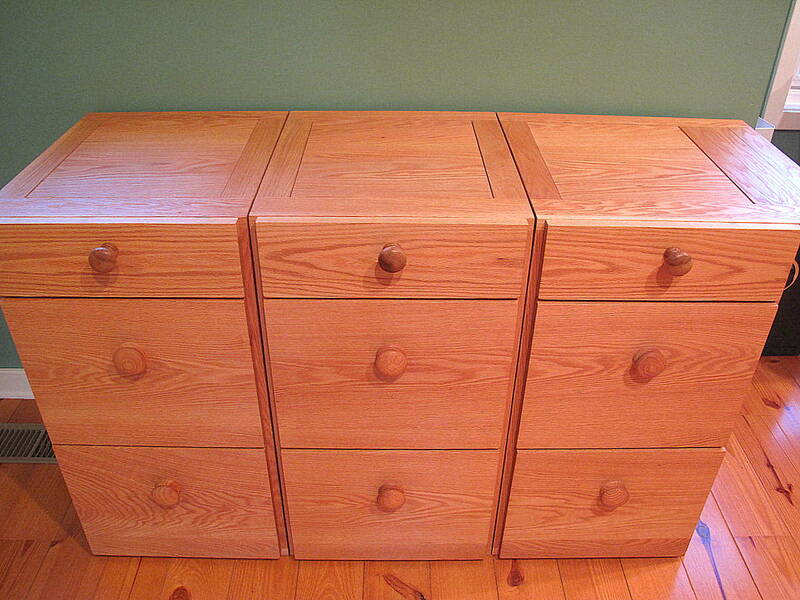 The floor on the ‘A pair of dressers’ picture is beautifull, what kind of finisch does this have..? 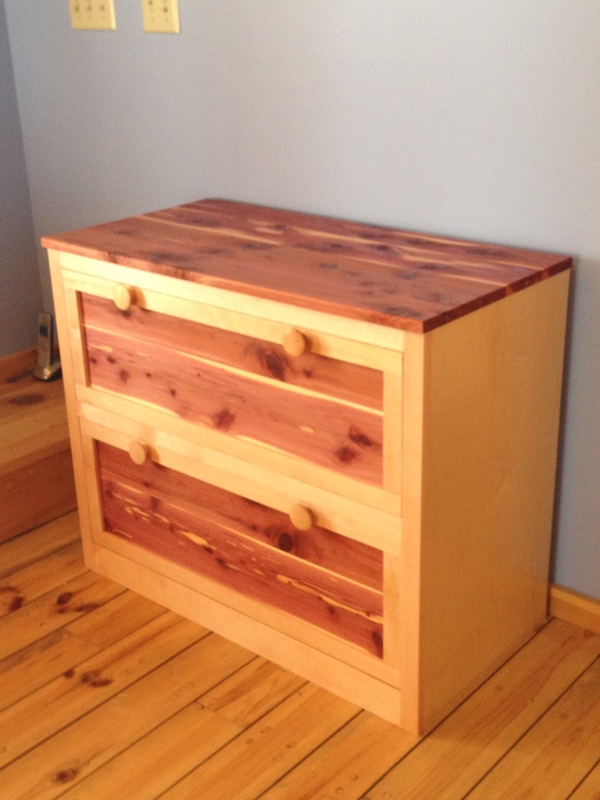 It’s pine with I believe some sort of poly floor finish. 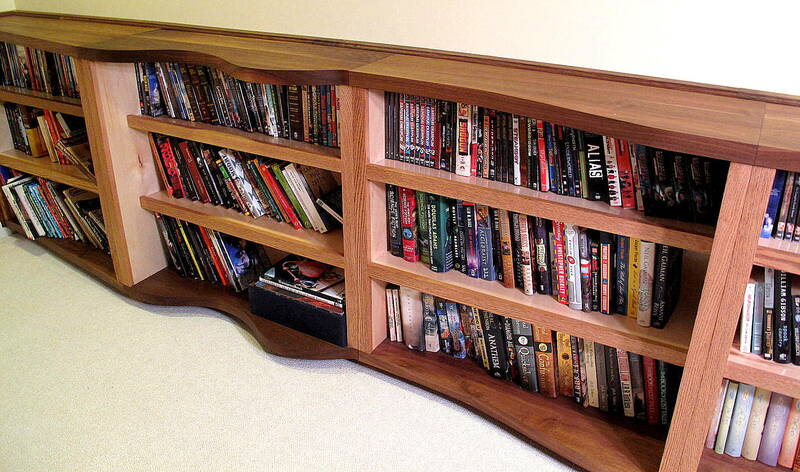 Looks really nice, especially in the light!